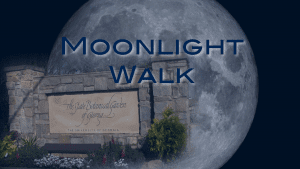 Wednesday night is the monthly Full Moon Hike at the State Botanical Garden of Georgia. Hikes have set topics such as nocturnal animals and how they get around in the forest, or the moon and astrology. It all depends on who leads your hike. On the hike there are no flashlights, so the only light you will have is from the moon. Because the leaves haven’t come back from winter, Keber explained that there will most likely be more light on this hike as the moonlight will be able to shine through the thin foliage. In addition, this will also be a special full moon because there will be a Penumbral Lunar Eclipse. This means that part of the earth’s outer most shadow will cover part of the moon. This will be visible in Athens, Georgia around 5:40 p.m.
Tonight’s tour will be led by Andie Bisceglia and will be starting at 8:00 p.m. For any questions about tonight’s hike you can email her at abiscegl@uga.edu and if you are interested in going you can register here.